Making ornaments for your own tree and to give as gifts to others is a wonderful holiday tradition you can start this year. Crafters of all ages and abilities can make this fun DIY ornament, a Christmas Star, out of readily available materials. All you need is a cardboard bathroom tissue roll, or paper towel roll, scissors, paint, twine or ribbon, and a little imagination. 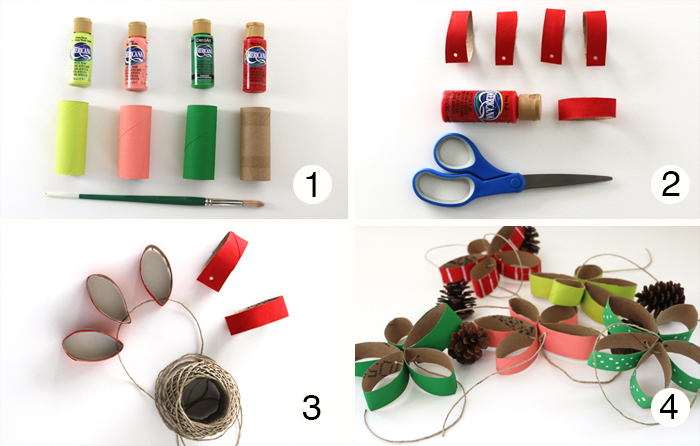 Paint the cardboard rolls in festive colors. Stripes and polka dots are fun. Cut the cardboard roll into five sections. Next, punch a hole in each section at the top. 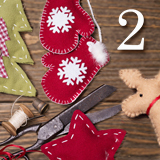 Thread your twine or ribbon through the holes and tighten to form the star. Now the fun part! You can dip it in gold paint or cover it with glitter or glue on sequins for some extra sparkle. You can write the year or someone's name on it and the star will become a cherished keepsake for years to come. They are perfect for displaying around your home, on the tree, or as a gift decoration. One of the best gifts of the holidays is the gift of time spent with family. The greatest gift you can give someone is your time, because you are giving a part of your life. Money spent is meaningless, but time spent is priceless. 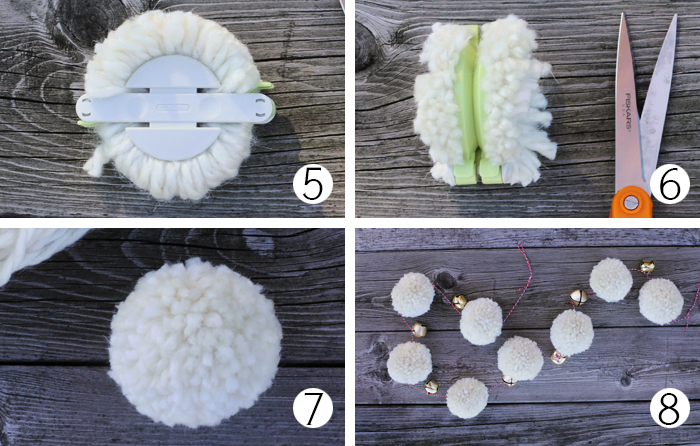 Making pom-pom ornaments together is a great way to turn moments into memories. It's a craft that can be done by young and old and a great way to build connections between generations. The ornaments are bright and whimsical, reminiscent of a Whoville Christmas tree. They are soft and durable and won't break if you drop them! All you need to get started is colorful yarn, scissors, a spool of heavy-duty thread, embroidery needle, and a large pom-pom maker. 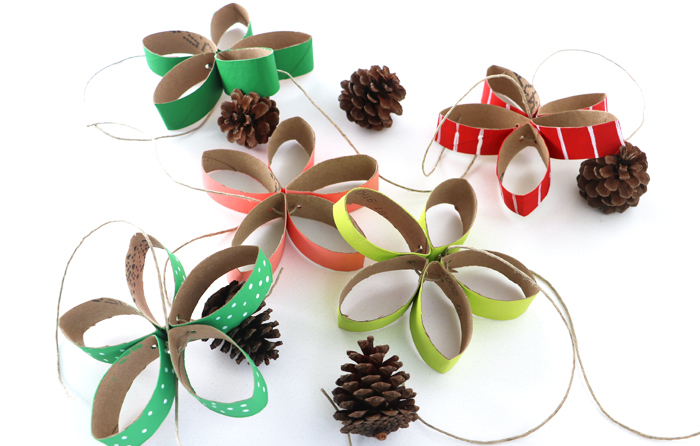 You can download a free template to make one from cardboard, or you can find a pom-pom maker at your local craft store. 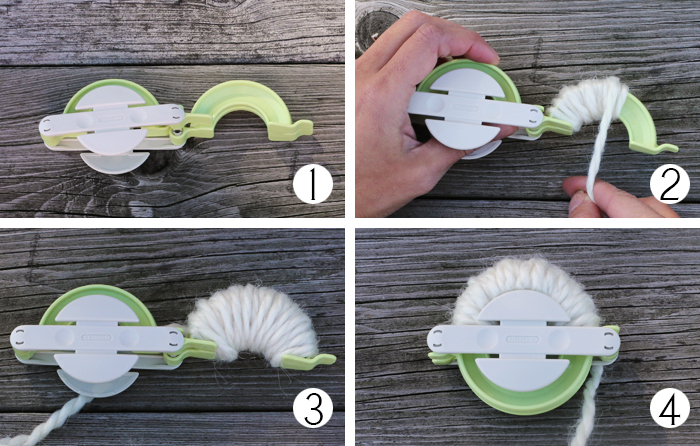 Step-by-step directions are included with your maker and how-to videos are available online. Begin by wrapping each side of the arch with yarn. Close your maker and cut the yard down the center. Wrap the thread around the pom pom and tie it tightly with a knot. With the embroidery needle, pull yarn through the pom pom to create a loop for hanging, or a continuous line to string pom poms for a garland. In addition to ornaments, the pom poms make unique package decorations. They can be strung together to create a garland you can hang anywhereacross the mantle, around the Christmas tree, down the staircase and looped around a chandelier. You can fashion a wreath from pom poms for a festive welcome on your front door. By adding extra details, you can turn them into snowmen, animals, flowers, zipper pulls and key chains for great gift ideas. The holidays are a friendly, festive, happy time-- a time for warm traditions, making memories and spreading joy. 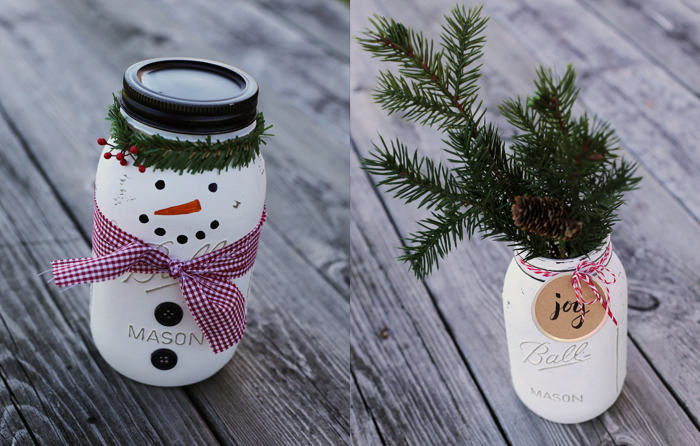 Christmas mason jar crafts are fun to create and fun to receive as Christmas gifts. You can buy the jars online or anywhere that sells crafts or canning products. Mason jars were invented in 1858 by a Philadelphia tinsmith named John Landis Mason. They are made of soda-lime glass and come in a variety of volumes including ½ pint, pint, quart and ½ gallon. Our projects here are designed for the quart size. Decorating jars is limited only by your imagination. Jars can be painted in solid colors or with holiday designs, if you are feeling artistic. We recommend using a matte acrylic paint. Jar lids can be covered with 6 ½ inch circles of burlap or festive fabrics and tied with raffia, twine or holiday ribbons. Messages and recipes can be attached as tags around the lid, or glued to the outside of the jar. Decorated jars make great vases and containers. They are perfect for holding Christmas greenery, plastic party ware, candy canes and candles. 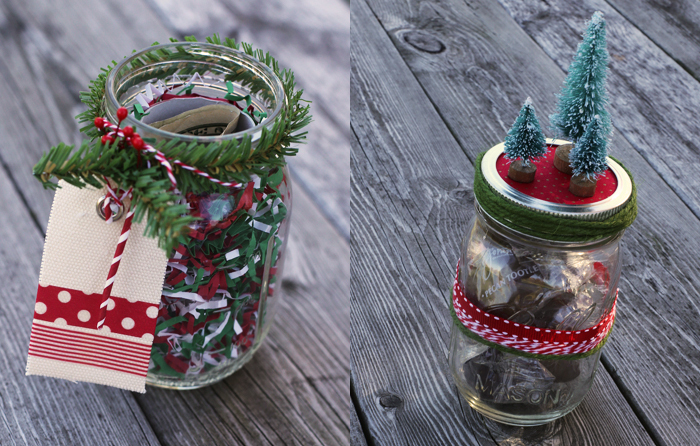 You can make a delightful scene by placing whimsical elements inside a jar, such as tiny trees and reindeer. Epsom salts makes great snow. A visit to your local craft store will provide you with additional inspiration. For a fun surprise, place a gift-wrapped toilet paper roll in the center of the candy and add a little Christmas cash or gift card. Fill a Mason jar halfway with hot cocoa mix and top off with chocolate chips and mini marshmallows. For extra cheer, tie a small bottle of Baileys to the jar. Hope your Christmas is M & M -- Merry and Magical! Combine the white ingredients, except the sugar, and pour into the bottom of a 1 quart Mason jar. Top with M & M's, then brown sugar, then granulated sugar. Decorate the jar and attach recipe: Pour the contents of the jar into a large bowl and stir. Stir until combined. After chilling for 30 minutes, drop dough by heaping tablespoons onto lined baking sheets. Bake at 360 F for 8-10 minutes. 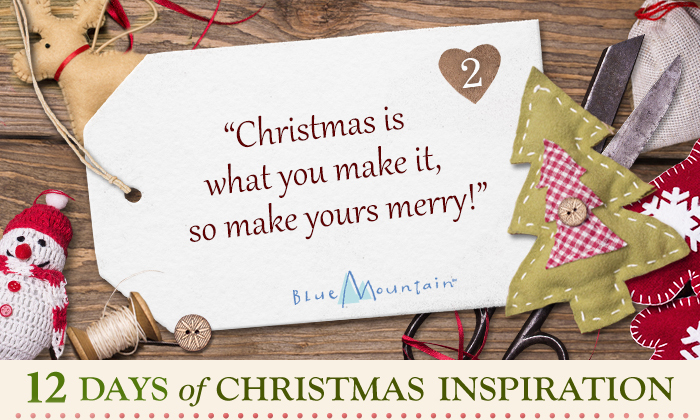 a Christmas you will treasure!